Spouse: Pharaoh Kashta of the 25th Dynasty. Queen Pebatjma titles are: King’s Wife and King’s sister. Mother of God’s Wife of Amun Amenirdis I and (adoptive?) mother of Queen Peksater. Mentioned on Cairo Statue 42198. Nubians are an ethnolinguistic group indigenous to present-day Sudan and southern Egypt who originate from the early inhabitants of the central Nile valley, believed to be one of the earliest cradles of civilization. 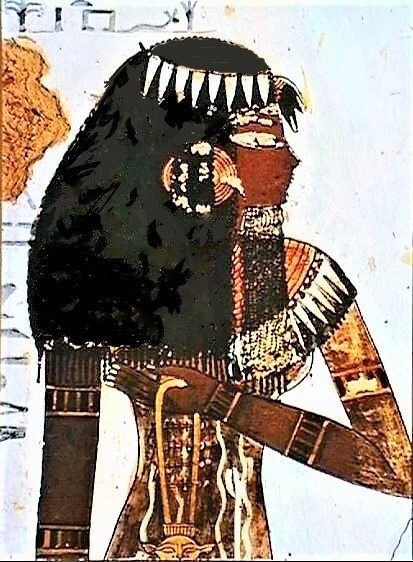 Nubian people have an ancient history predating dynastic Egypt. They speak the Nubian languages, which belong to the Nilo-Saharan language family. 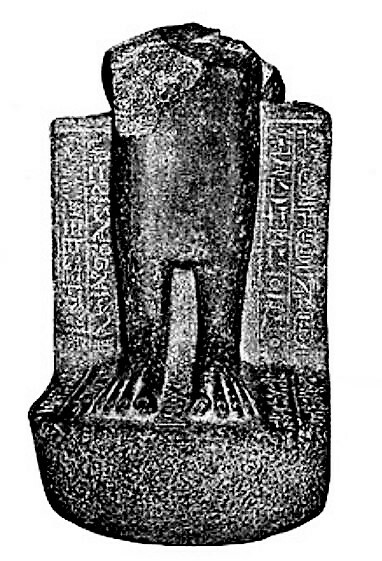 Statue CG42198 of Amenardis I, bearing the cartouche of her mother Pebatjma between her feet. The Deffufa Temples in Kerma, Nubia, Sudan at least 9,500 years old?